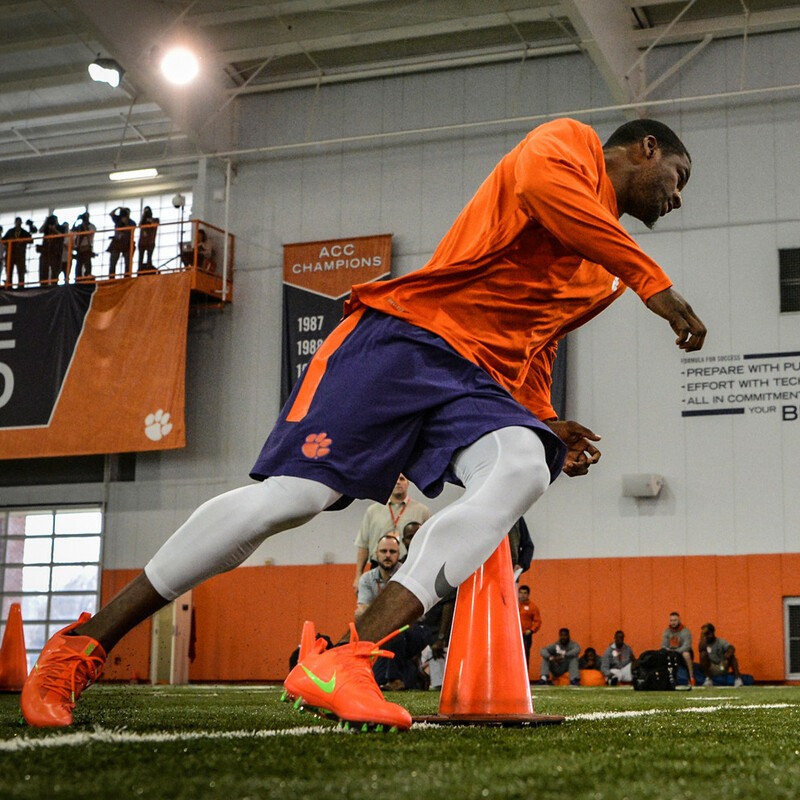 Pro Timing Day challenged 15 of Clemson’s finest professional football hopefuls, as the departing players showcased their skills in front of representatives for all 32 NFL teams. One of the representatives in attendance was Buffalo Bills coach Rex Ryan, father of Clemson holder and wide receiver Seth Ryan. Decked out in Clemson gear, Ryan made sure everyone knew how he felt about Dabo Swinney’s team, calling it the best program in the country. One of the NFL Draft hopefuls, safety Jayron Kearse, said that he felt his childhood drams coming true as he went through some of the drills in the indoor practice facility Thursday morning. When he heard what Ryan had to say, Kearse was not surprised. Shaq Lawson, who went through some agility drills Thursday to help solidify his projected first-round status, echoed his teammate’s thought. Lawson, the national leader in tackles for loss in 2015, is looking forward to the opportunities his Combine and Pro Day performances will bring him. While the newest Tiger prospects waited their turn at Pro Day, several Clemson standouts from the past were in attendance, including Atlanta Falcons defensive end Vic Beasley. One of his former teammates that got a chance to put on a show was cornerback Mackensie Alexander, who interviewed with teams at the Combine but did not work out while continuing to recover from a hamstring injury suffered in the National Championship Game against Alabama on January 11. Alexander ran the 40-yard dash with an unofficial time in the 4.5 range. He then posted the top vertical leap among Clemson’s contingent, jumping 37.5 inches. Like Lawson, Alexander has been projected by many as a first-rounder. Defensive coordinator Brent Venables spent the day watching several players from his unit get their shot.